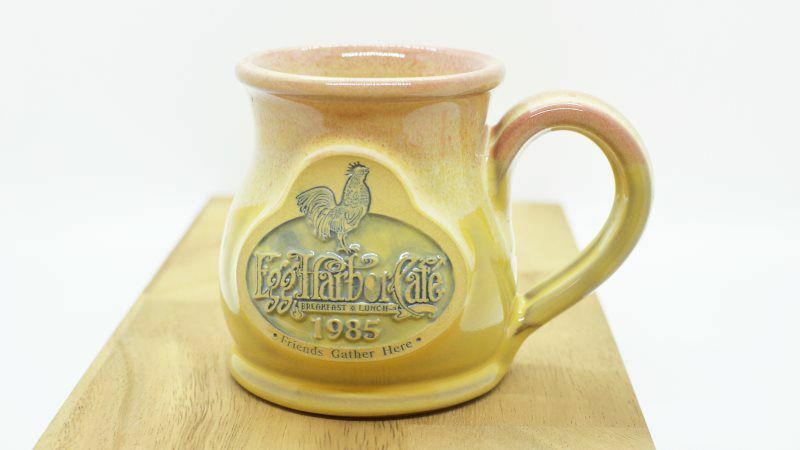 Hand-crafted Coffee Mugs Online Shop - Fresh, Local Breakfast, Brunch and Lunch. 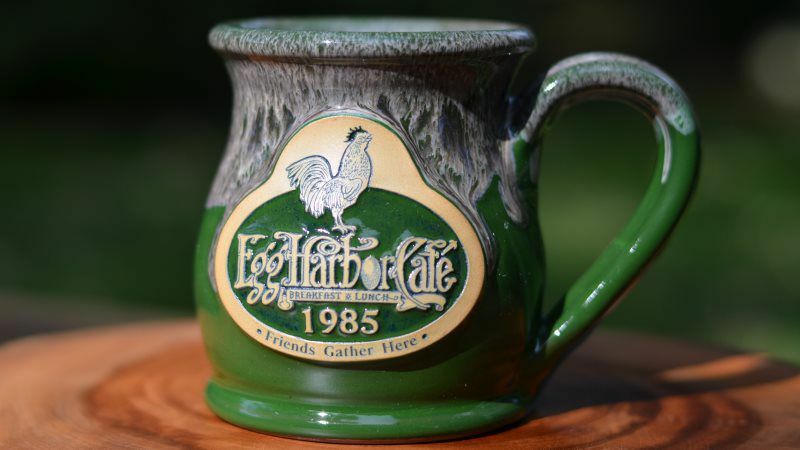 Order Egg Harbor Cafe Gift Cards, available in amounts of $15, $20, $25, $35, $50, $75, $100. 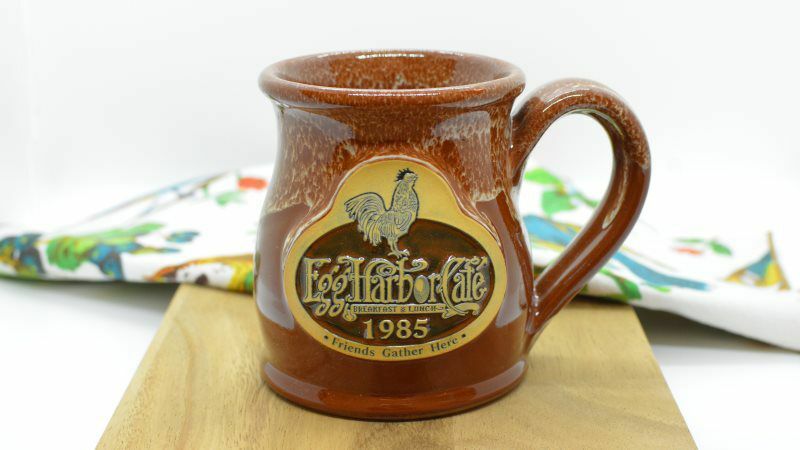 Actual gift cards are mailed by U.S. Mail within one business day from when the order is placed. 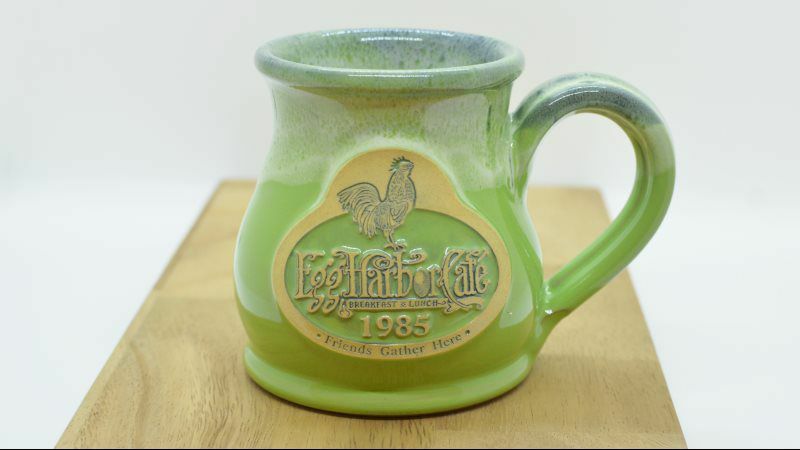 Gift cards are valid at all Egg Harbor Café locations. 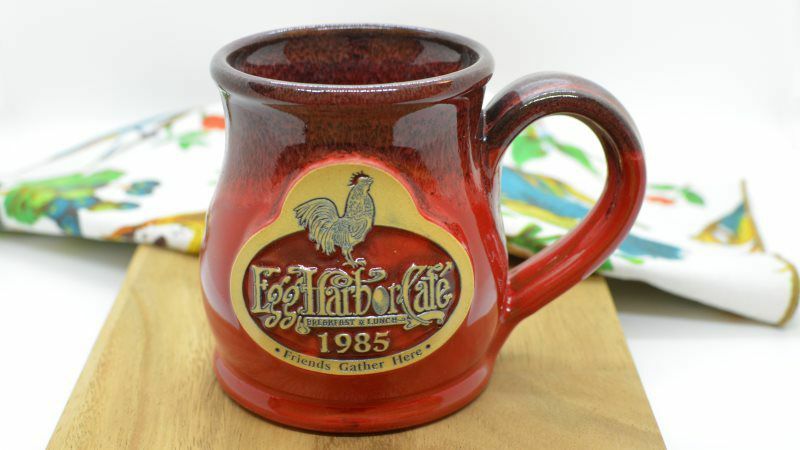 If you have any questions about your order, call the corporate office at (847) 478-5100. 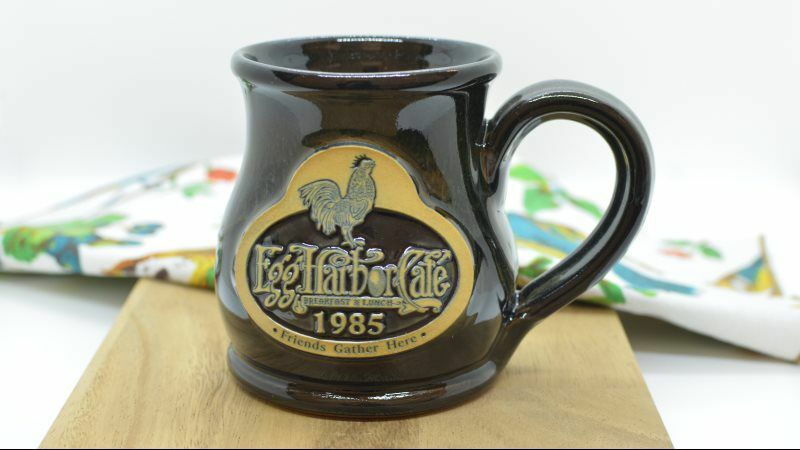 Check Your Gift Card Balance! 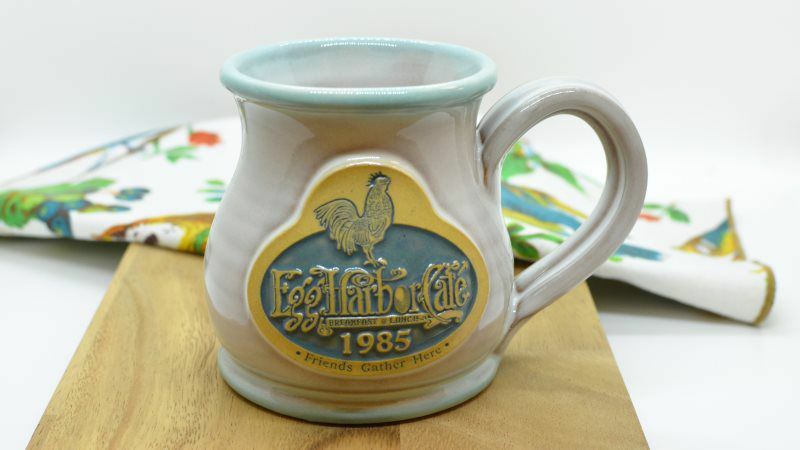 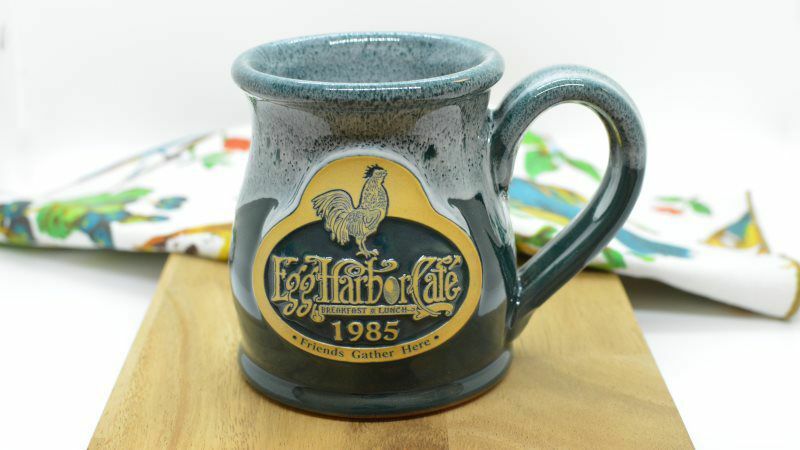 Egg Harbor Café mugs, hand crafted at Deneen Pottery in Minnesota, are microwave, dishwasher, oven and freezer safe. 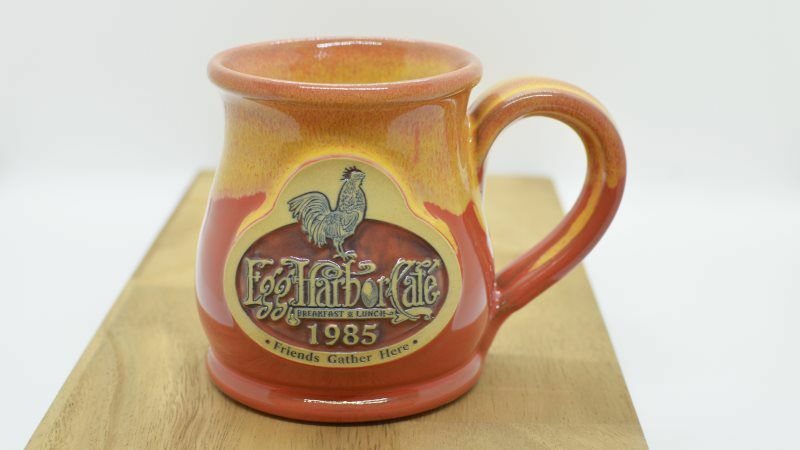 Mugs ordered online come engraved with, “Friends Gather Here.” Mugs purchased at the restaurants come engraved with the individual location’s town name.